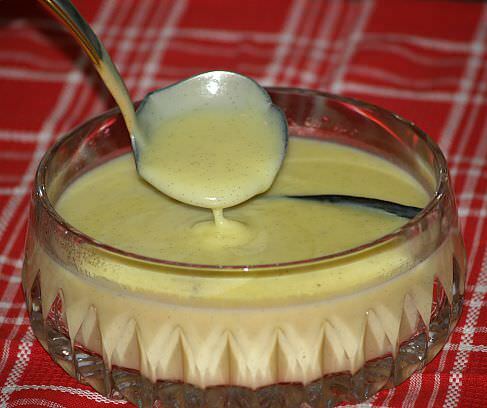 If you are learning how to make dessert sauce recipes, know that they should compliment a dessert. 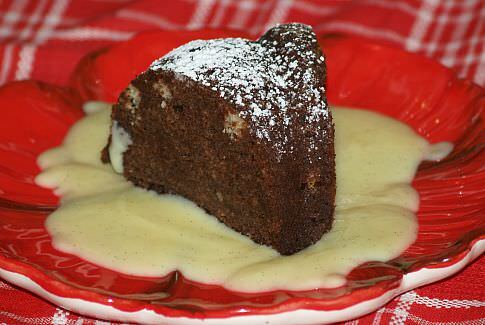 The sauce should add flavor if needed but should never overpower the base dessert. A general rule to follow is to use a light sauce with a rich dessert and one that is more flavorful with a plain dessert. If you are one to have unexpected guest stop by for a cup of tea or coffee keep on hand ingredients to make an assortment of sauces. When you learn how to make dessert sauce recipes, they can change an ordinary piece of pound cake into a dessert for occasion. A homemade sauce can even personalize a commercially made product like ice cream. When you are learning how to make dessert sauce recipes, they can be as simple as pureeing fresh fruits. Others might be cooked with several ingredients added to the recipe. Some recipes even include liqueurs and other alcohols to give it a special “kick”. Some of the cooked sauces usually require thickening agents such as eggs, cornstarch or flour. Liquids used to make cooked sauces might be water, milk or fruit juices. They can be served warm over cold desserts like ice cream or they can also be served well chilled. I learned many years ago to use dessert sauce recipes to transform an ordinary plain dessert into a very elegant presentation. Of course, I insist that everything I serve must taste good; that is the number one focus. That said, even a simple plain treat like a cupcake can have an extraordinary delicious taste. That plain ordinary cupcake can also have an elegant and beautiful presentation with additional flavor by what I call “plate painting”. I use different dessert sauce recipes, based on a variety of colors, to transform an ordinary dessert into one suitable for serving at an elegant dinner. Beat egg yolks and sugar with mixer until thick and lemony color. Combine half and half and milk in a heavy saucepan; whisk in egg mixture. Cut vanilla bean lengthwise down the middle and add to the saucepan. Mix cornstarch with a little milk to blend; stir into milk mixture. Cook milk mixture slowly over medium heat stirring constantly. When milk mixture begins to boil and is slightly thickened (You will see bubbles); remove from the heat. Set saucepan in another pan with cold water in it; whisk until hot mixture cools. Pour sauce into a clean bowl and cover; store in refrigerator. Drain cherries and put the juice in a small saucepan with orange and lemon rind. Simmer mixture 10 minutes, strain and reheat adding fruit juice and brandy; do not boil. Just before serving stir in the black cherries and reheat. NOTE: This is great over ice cream. Push through a fine food mill to catch the seeds. Add sugar and cream to taste; blend. Chill in refrigerator for a couple hours before serving. Break chocolate into small pieces and place in a small pan with the water. Bring to a boil; simmer and stir until chocolate has melted. Pour in the cream and stir until blended. Combine sugar, butter, corn syrup and salt together in a small saucepan. Cook and stir over medium heat until sugar is dissolve. Add cream very slowly while stirring constantly. Cook until thermometer reaches 228F degrees; serve hot. Combine and blend sugar and cornstarch in a small saucepan. Stir in coffee and bring to a boil stirring constantly; boil until clear. Add butter and nutmeg; cool. Caramelize the sugar by heating in a heavy skillet until sugar has melted and changed to a light brown. Remove from the heat and slowly stir in the hot water. Return to the heat and boil slowly until thickened or until it reaches 228F degrees. Remove from the heat and add the butter, salt and vanilla. Melt chocolate over hot (Not boiling) water in a double boiler; gradually stir in the hot water. Dissolve the cornstarch in the cold water and then stir into the chocolate mixture. Add sugar, corn syrup and salt to chocolate mixture. Cook over boiling water stirring frequently about 10 minutes or until mixture thickens and is smooth. Add butter and vanilla; cool. Combine first four ingredients in a saucepan, stirring until smooth. Cook over medium heat stirring until smooth and thickened. Add remaining ingredients; cook until heated. Good served over cake or sweet bread. Combine 1/3 cup sliced peaches, ½ cup blueberries and remaining ingredients in a small saucepan. Bring mixture to a boil, reduce heat and simmer for 10 minutes. Serve warm over ice cream, pound cake, waffles or pancakes. Drain strawberries reserving ½ cup of the juice; set strawberries aside. NOTE: Remaining strawberry juice can be used in other dessert. Combine the ½ cup reserved juice and cornstarch in a small mixing bowl stirring until smooth; set aside. Melt jelly over low heat in a heavy saucepan. Cook over medium heat stirring until thickened and clear. Add reserved strawberries and brandy; blend well. Serve warm or chilled over desserts. Spread pecans on a baking sheet and bake at 300F degrees for 15 minutes; set aside. Melt butter in a medium saucepan; add brown sugar, corn syrup and flour stirring well. Bring mixture to a boil, reduce heat and simmer 5 minutes stirring constantly. Remove mixture from heat and let cool to lukewarm. Gradually stir in evaporated milk and toasted pecans. Serve warm sauce ice cream or other desserts.